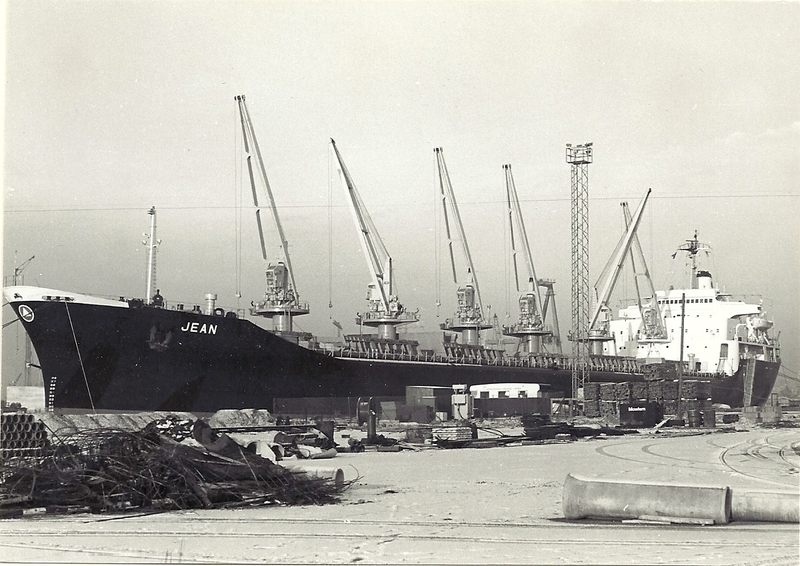 Bulker JEAN in Tilbury before the warehouse development. Has anyone got more information on her . Photo about 1967? The geared bulk carrier JEAN (15,996 tons gross; 27,532 deadweight) was owned by Cardenosa Compania Naviera SA, of Panama, and flew the Liberian flag. It was beneficially owned by two Greek brothers named Dambassis, who had a registered office in New York but transacted business in London. Not unusual, but an indication of the complicated nature of some shipowning outfits. 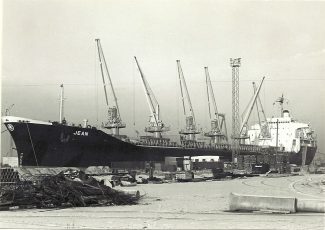 The vessel itself was completed in Osaka, Japan, in March 1967, and went to British Columbia for packaged timber for Japan; it then went to British Columbia again to load for Tilbury, where it arrived at the end of August 1967. As far as I can make out, this was its one and only visit to Tilbury.